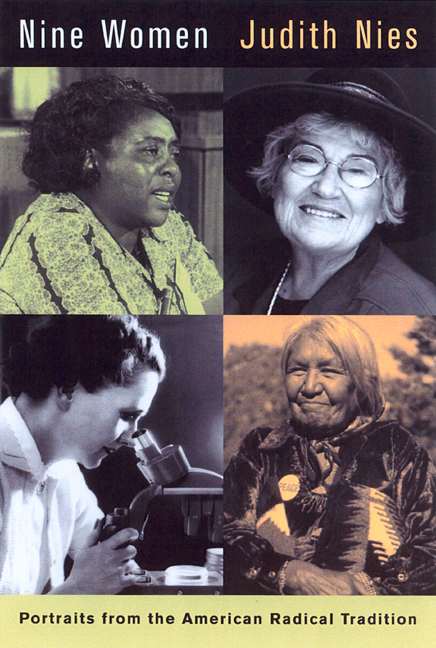 In an expanded edition of her history of American women activists, Judith Nies has added biographical essays on feminist Bella Abzug and civil rights visionary Fannie Lou Hamer and a new chapter on women environmental activists. Included are portraits of Sarah Moore Grimké, who rejected her life as a Southern aristocrat and slaveholder to promote women's rights and the abolition of slavery; Harriet Tubman, an escaped slave who led more than three hundred slaves to freedom on the Underground Railway; Elizabeth Cady Stanton, the first woman to run for Congress, who advocated for women's rights to own property, to vote, and to divorce; Mother Jones, "the Joan of Arc of the coalfields," one of the most inspiring voices of the American labor movement; Charlotte Perkins Gilman, who worked for the reform of two of America's most cherished institutions, the home and motherhood; Anna Louise Strong, an intrepid journalist who covered revolutions in Russia and China; and Dorothy Day, cofounder of the Catholic Worker movement, who fed and sheltered the hungry and homeless in New York's Bowery for more than forty years. Judith Nies is an author, essayist, and teacher. In addition to this book (first published as Seven Women), she is the author of Native American History (1996). Her essays have been published in the New York Times, the Boston Globe, The Progressive, American Voice, Orion, and Harvard Review.